Gluten-free; Low protein; Milk-free; Lactose-free; Egg-free; Low phenylalanine. Suitable for gluten sensitive enteropathies. Ener-G Gluten-free products have been specially developed for the dietary management of conditions requiring restriction of gluten. They are also suitable for those who are allergic to eggs or lactose. Product of Israel. Taste is Equal to a wheat flour pretzel, but better! 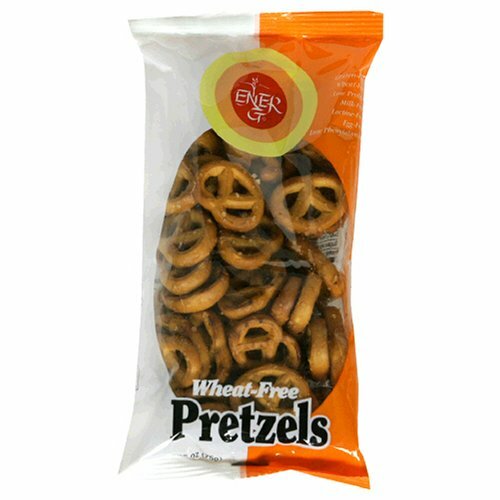 GREAT gluten free "normal tasting" pretzels! I have enjoyed these pretzels many times. They are also popular with my gluten-eating family members. 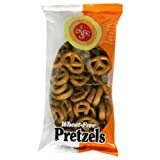 The only reason I'd rate these pretzels with four stars is due to the somewhat high fat content, most likely due the the second ingredient listed being palm oil. However, the low protein in these pretzels is a positive for those diagnosed with chronic kidney conditions.